Welcome to day 1 of the August PTI Release Countdown. 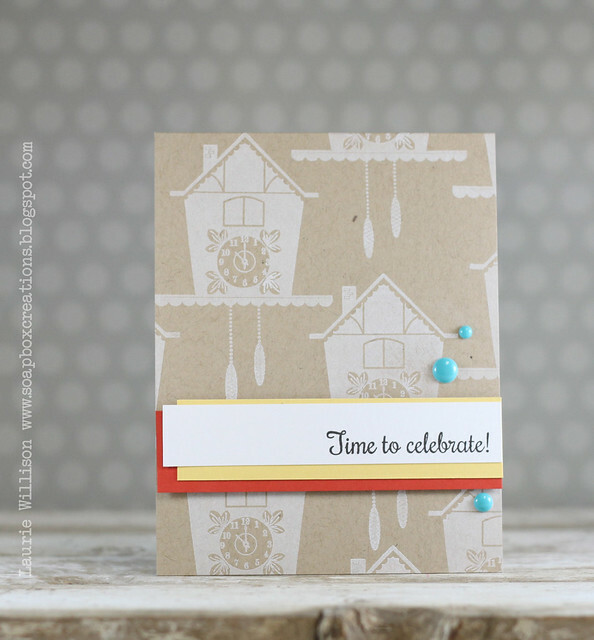 I have an adorable new set to share with you today called Tick Tock. This set is really so versatile, so I have created 3 different cards to share! This first set is a CAS card using the clock and its coordinating die. I stamped the clock in Hawaiian Shores and gave it some Enchanted Evening trim. I added a Berry Sorbet clock face and a little bird peaking out. 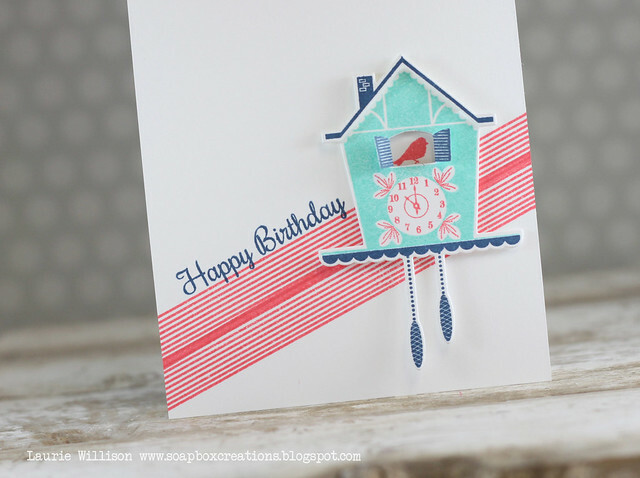 I anchored the clock to the card front by using some stripes from Background Basics: Super Stripes. I added the sentiment in Enchanted Evening to finish it off. I added in a color block banner with the sentiment and some enamel dots for detail. This set is so much fun to work with and with such a variety of sentiments, it is a good addition to your stash! 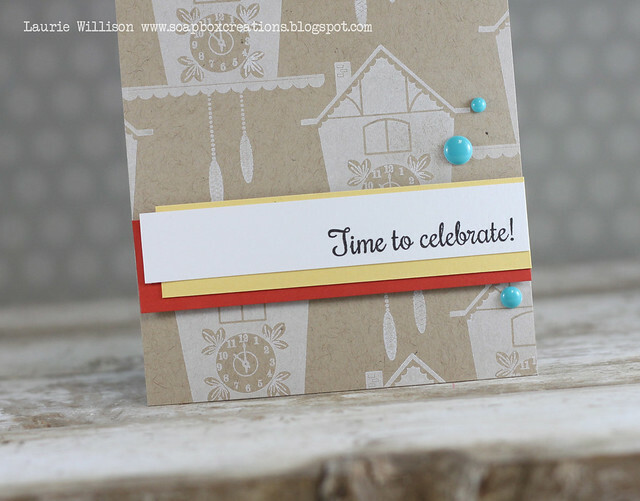 The coordinating die makes it even more fun with those little doors that open and close! That is all I have for you today, but you can see more over at Nichole's blog. Heather, Melissa, Dawn and Betsy have some new things to share as well. Thanks so much for coming by today! See you soon! Oh, wow, these are all fabulous, Laurie! Great job with this new set! Laurie!! I love these! 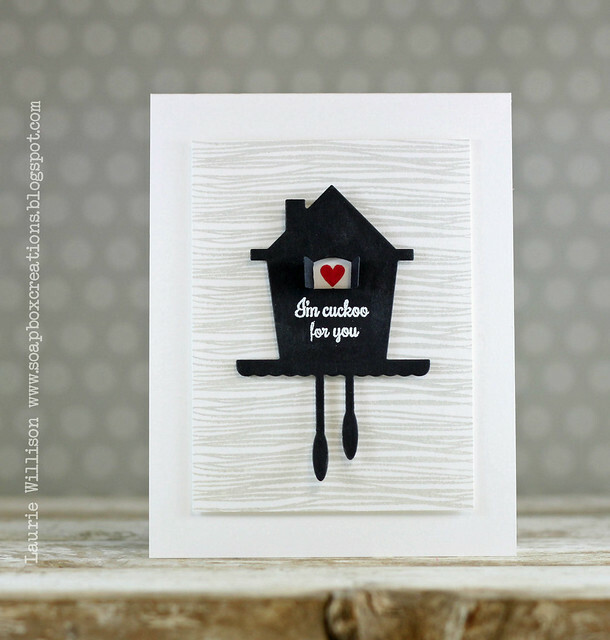 That little clock is so cute, and I adore how you've used it so differently in each of these! Love what you did with the little clock! Beautiful cards!! SO CUTE!!! You did an amazing job on these cards!!! Great cards. Love the embossed white on the kraft. 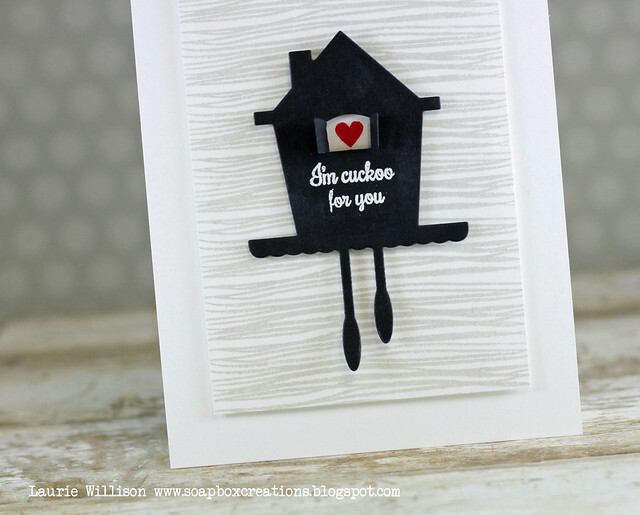 What a nice variety of cards with the darling little cuckoo clock! I like them all but I think the prize for creativity goes to using the clocks to create the background. That's something to celebrate! Adorable! Love the black one! Adorable cards! I love how you created the background with the clock! The sentiment on the black clock is so fun! I love this set! You did an awesome job of showcasing the versatility of this cuckoo clock set, Laurie!!! Love your cards!!! These are so cute Laurie, love this sweet new set! Ooh How cute, Laurie! I love the clocks in white...very cool. Amazing cards!! Love the first card so much!! That clock is just too cute, these are wonderful Laurie! I love this stamp set! Clocks are a fun twist for cards! Laurie I love this clock, it reminds me of one my grandmother had, I can't wait to gt using it! 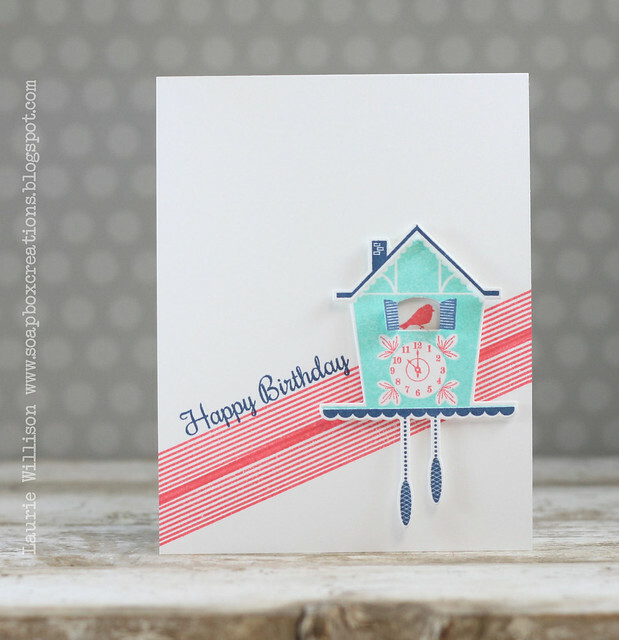 Love the bright fresh colors in card #1 and the trendy style of the black and white...very well done.